A powerful resource in the hands of a Saint who wants nothing more than to give God everything. 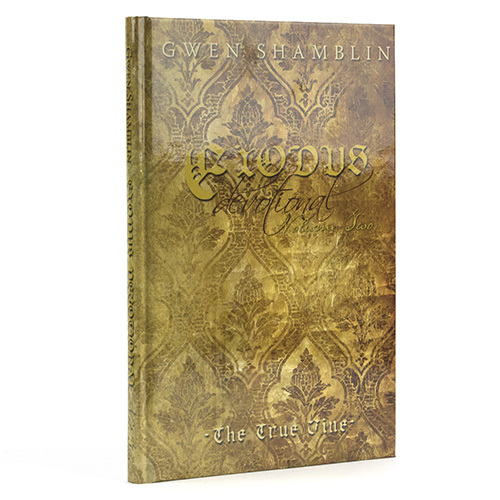 The EXODUS Devotional: The True Vine is a 144-page devotional book filled with daily doses of Truth. Start your day or end your night with inspired words of encouragement from Gwen Shamblin, scriptures and space to chronicle your spiritual walk in the journal pages. The information in this book will build upon the concepts you have learned in your Weigh Down classes and continue to change the way you think about God, your life and laying down your strongholds. Get ready to give up your life for your loving Father, lay down your strongholds and be set free permanently. from Indialantic Amazing book for all ages!! My children and I read this every morning! The entries are short yet so filled with truth- it's starts the best conversations that convict and encourage thoughts to what we can all do better for God. It is bearing so much fruit! I highly recommend this book. It also makes a great gift! from Colorado Fantastic resource for comfort, direction, and truth! This is one of my most favorite books!! I first read through this book by reading one selection a day, as part of my daily time with God. Since then, I have read and continue to read it over and over, sometimes looking up specific sections and sometimes just opening up to something at random . God uses the words in this book to point me back to Him and His ways, and He gives me guidance, conviction (that leads to positive changes), peace, comfort, and hope!! I understand the Bible more and grow in my relationship with God with every page, and I learn how to live my life so that it matches up with the footsteps of Jesus Christ and the other greats of the Bible who loved God with all their hearts!! So grateful for this devotional book!! When I think of the first time I opened this book- it warms my heart- at the time - the scriptures were new to me in this fashion, and unfolding them in a daily reading -- was truely wonderful. I recommend this devotional above many others. I love this book! I read it every other day. The other day, I read Gwen's other devotional book by date! They point my heart up to God and the truth of the scriptures quoted and the wisdom shared have truly changed my life. They are short and can be read often. It is amazing to me that they fit perfectly in what I need to hear that day! A true Blessing from God!